Before every school year, student leaders gather to plan, prepare and train for their leadership positions. Student Leaders include Resident Advisors, Student Government Association, New Student Institute Mentors, LIFE Peer Mentors, Small Group Leaders, Student Athlete Representatives and Ministry Intern Representatives. At LEAD Retreat, students spend time getting to know each other on a deeper level. The retreat is planned months in advance by Student and Spiritual Development Staff and representatives from the Athletic department. Marian Redwine, Director of Leadership and Vocational Calling, adds that all sponsors, advisors, and coaches of each student leadership group are invited to help. Specific activities include breaking up into randomized small groups that allow students to share and respond to speakers and worship times. Students are encouraged to be vulnerable and open with each other, creating deeper relationships. The student leaders also go through various rope course activities. Many times these activities attempt to build trust and confidence within the leadership teams. In the past, worship has been lead by one or two people, but this year SNU’s traveling worship team, Remedy, led many of the worship services. Many students shared that worship was one of the aspects of the retreat they enjoyed most. SNU Chaplain Blair Spindle spoke about the walls that students build to protect themselves. He encouraged students not only to knock down the walls they had built around themselves but also attempt to reach past others’ walls. Spindle also challenged students to go deeper in their faith and to put their trust in God and each other when the walls do start coming down. 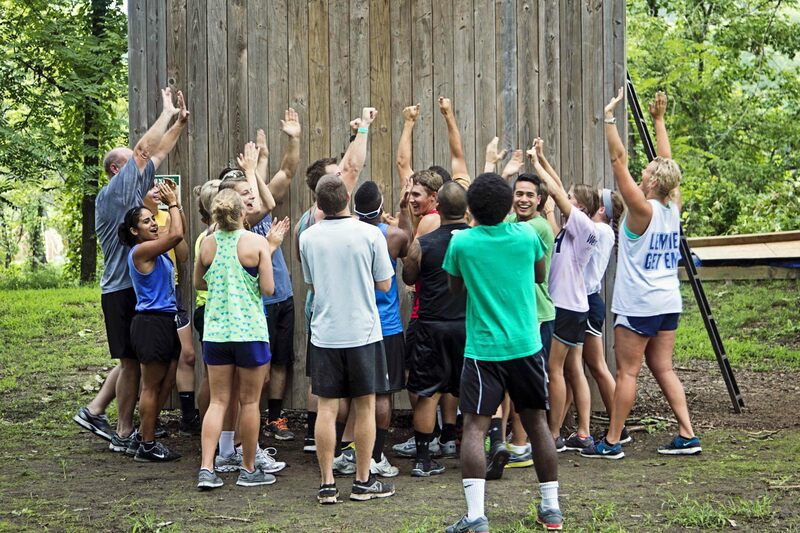 Many students felt that the walls between students began to come down at LEAD Retreat. “It helps me to remember that no matter who we are, no matter where we come from, no matter our past, that we are all in this together and we are one big family with a loving and enduring Father,” Hunt said. “LEAD Retreat reminded me that many students are going through the same kind of issues I am currently facing, or even worse situations than me. If being a little uncomfortable can help make someone’s day better, I think it is definitely worth it,” senior Computer Science and Psychology multidisciplinary major, Blake Jordan said.